I believe it was Winston Churchill who said “To improve is to change, to perfect is to change often.” Ok actually I did believe he said it then searched and confirmed it so I wouldn’t sound like a pretentious jackass if I was wrong. That’s one of the many joys of the internet now, is that any fellow human can seem like they know something so long as they’re willing to put in a handful of seconds. Nonetheless I’ve found myself undergoing quite a bit of change over the last few years (I like to consider it improvement, though the baser part of me is inclined to agree with Tyler Durden on the subject of self improvement) and thought it was time to update my site to reflect more of who I am and who I aim to become as opposed to who I was. After all when it comes to the brave new world in which we live, you are your web presence. It seems to me, someone woefully under-qualified to present such a theory, that the above statement will not hold true for the generations which follow us. I believe we’re poised to witness the actual transformation from humans as homo sapiens to… whatever it might be we decide to call ourselves next. (I talk about it more in my incredibly esoteric Manifesto, which is one of the major reasons for updating this site.) I think generations that follow may be so accustomed to the use of technology almost from birth, and the rapid pace at which they must process and respond to stimuli that our ancient Roman friend will be too hardwired to sufficiently adapt to a lifetime of electronic input. Of course, regardless of their ability to respond to this stimulus they’d still be a homo sapiens. In another couple of generations however, I don’t know if that will be enough to be considered a “fellow human.” We’re going to need to think about this term, “human,” and what it really means. Will a child who undergoes genetic modification to overcome a crippling disease still be considered a fellow human? Most likely yes, it’s unlikely that we’d jump right into genetic engineering with such gusto that we alter someone so significantly they’re no longer sexually compatible with the rest of the human race. But at some point we’ll blur that line, and I think we need to put some serious thought into what that means. For all of us. If we’re meant to continue to evolve in order to progress and pursue the purpose of life, it’s very likely the next step will be of our own making. We need to understand what that process will look like and what impact it will have on the world and its population. The last leap in evolution has regulated our closest genetic relative to a lifetime in a small reservation at the best, or a life of scientific testing and experimentation at the worst. I have a feeling we, as a people, would prefer not to befall a similar fate when the next evolutionary leap takes place. Anyway, I fear I’ve become very side tracked from the original purpose of this post. 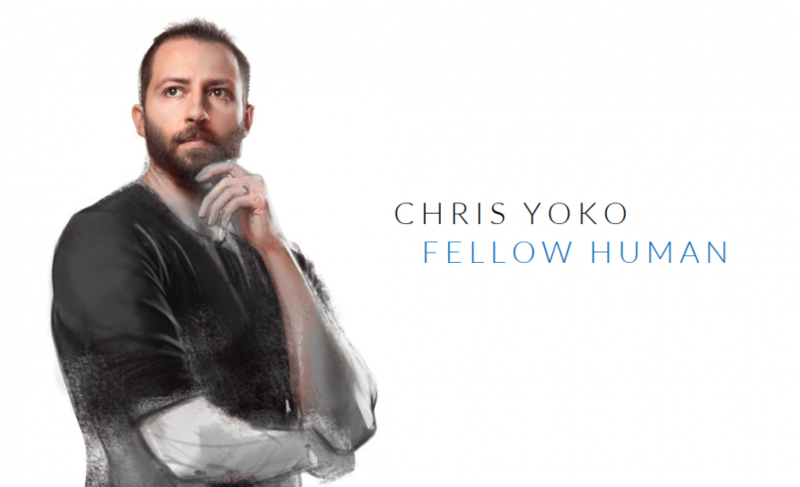 I updated the site, and used the title ‘Fellow Human’ to help explain some of the thoughts I share in my Manifesto about the fact that, before long, “human” isn’t going to be a universal label for mankind.